The New King James Bible is one of the best-selling and most-trusted modern English translations. Millions of readers around the world enjoy the beauty of the NKJV, the ease of reading the Bible in today's English, and the accuracy of the translation. 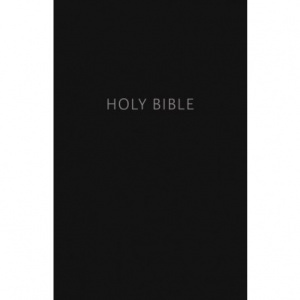 The Thomas Nelson NKJV Large Print Pew Bible is a trusted and durable Bible with an easy-to-read font, making it an excellent choice for use in churches and a variety of worship settings. NKJV, Pew Bible, Large Print, Hardcover, Black, Red Letter Edition by Thomas Nelson was published by Thomas Nelson Publishers in February 2018 and is our 22861st best seller. The ISBN for NKJV, Pew Bible, Large Print, Hardcover, Black, Red Letter Edition is 9780718095628. Be the first to review NKJV, Pew Bible, Large Print, Hardcover, Black, Red Letter Edition! Got a question? No problem! Just click here to ask us about NKJV, Pew Bible, Large Print, Hardcover, Black, Red Letter Edition. Please can you tell me the dimensions of this Bible. Thank you. A:This Bible measures at: 223mm (H) x 145mm (W) Thank you for using the Q&A Forum.